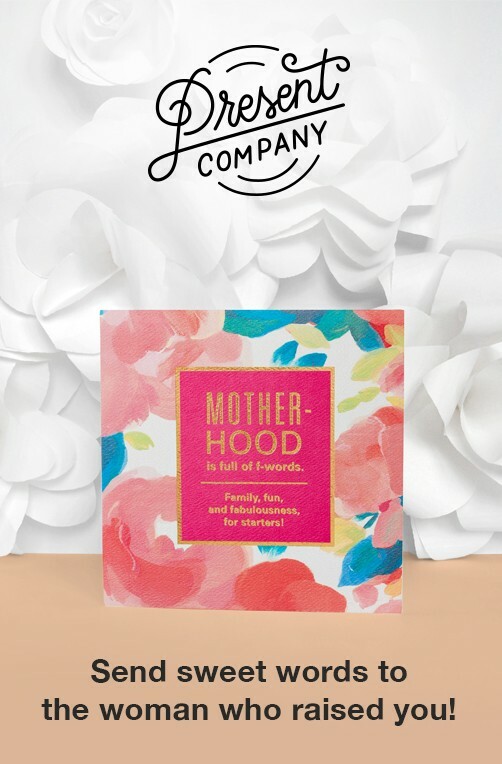 Connect whenever the moment feels right! 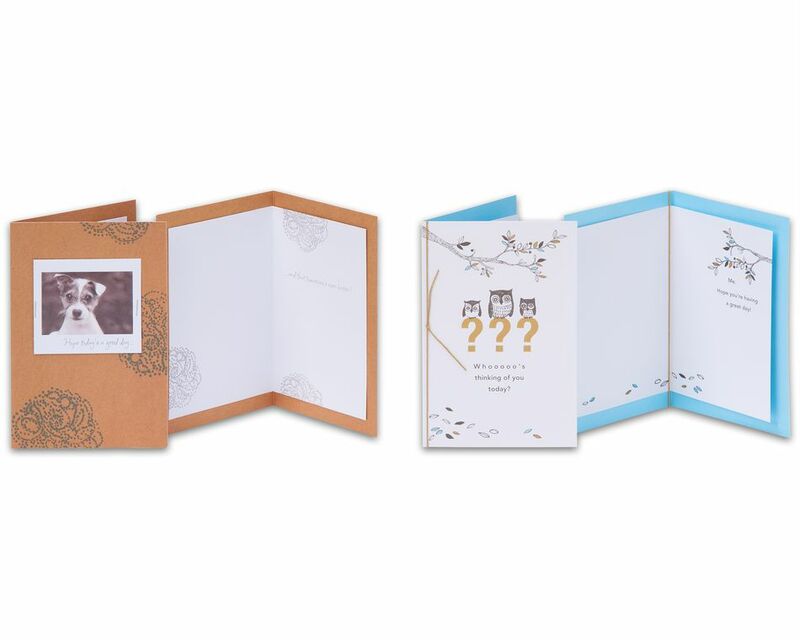 This thinking of you greeting card bundle features widely appealing designs with warm tones, soft color palettes, beautiful artwork and cute animals sure to brighten anyone’s day. Thoughtful messages range from supportive and encouraging sentiments to simple hellos and pun humor. 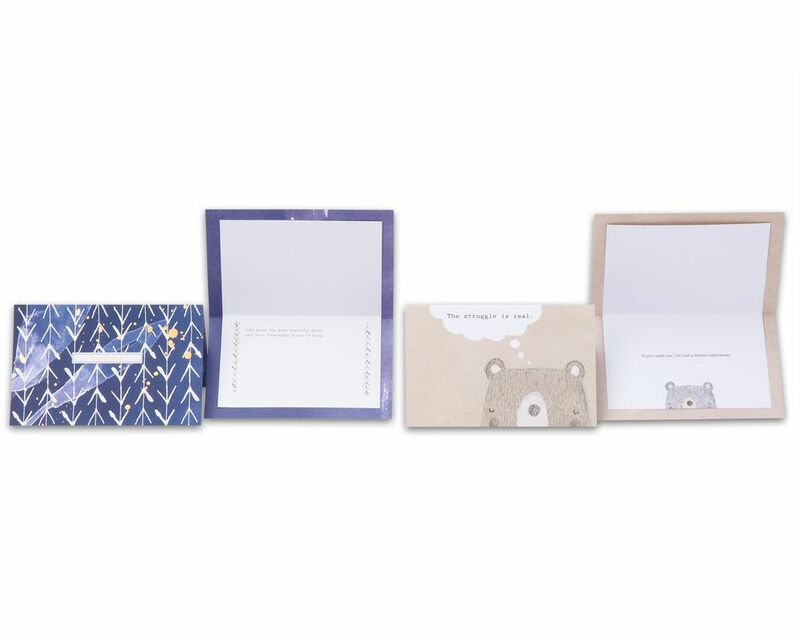 Sparkling glitter, shimmering foil and dimensional attachments add a sophisticated touch to these handmade cards. 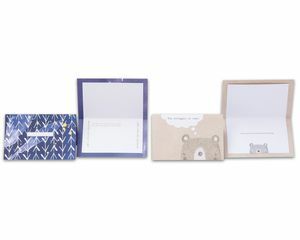 Neatly packaged in a convenient cardboard box, this mix of 8 unique greeting cards and envelopes is protected by plastic sleeves to keep designs in tact. 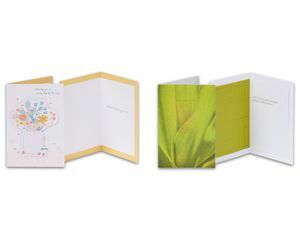 Themes include thinking of you (2), friendship (2), care & concern (2), encouragement (1) and get well (1). 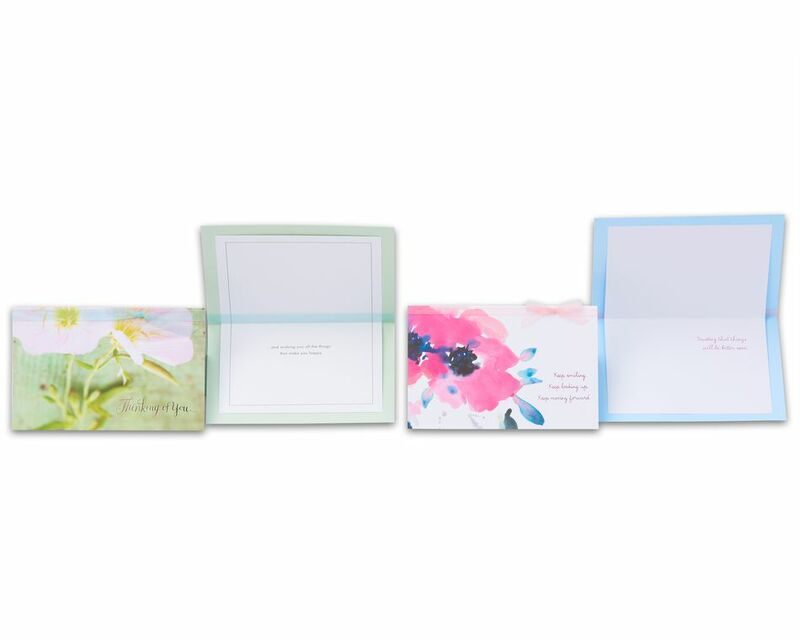 It’s a great value for anyone looking to stay connected with those they love, and can be used as a refill kit for our card collection starter kit box (sold separately). 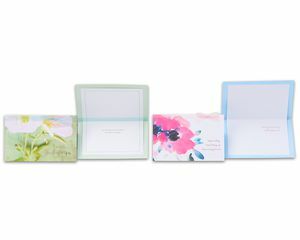 When it’s time to wish someone well, keep in touch or express gratitude, you’ll be glad you have this thinking of you card pack at your fingertips!